calling all aspiring engineers: ready to make an impact this summer? when students visit me in office hours at stanford, they often ask me what i think they should do over the summer. take an internship at a big company to learn how google or facebook gets things done? or join a startup and learn how to scale the next big thing? or take the ultimate plunge and start my own company? i’m always happy when students pause and take a look at all of the options that they have, since the first key question in making a good decision is to be thoughtful about what you want to do in the future. when i was vp of engineering at twitter, i would often ask engineering recruits: “what do you want to do after twitter?” the response was always: “huh?” few people are used to talking about leaving a job they haven’t even started yet. but it’s the right question because you want to think about how to prepare yourself to succeed not just in the next job but in the jobs after that. of course, none of this is completely predictable: the world will change, the valley will change, and you will change. in less than twenty years, i’ve started a ph.d. program in computer science, worked on microsoft’s early cloud-computing efforts, founded and sold my own company, led software development of webOS at palm, led the engineering team at twitter as it quadrupled in size, became a venture investor, and even helped fix healthcare.gov. but while i couldn’t have imagined all of this, i always considered where i wanted to go and then contemplated, job by job, the starting places that would give me the best experience to get to that point. i think this is even more important today, when there are more opportunities than ever for talented engineers. and it’s especially important for students looking at internships, where the pace of learning is so much faster and the new opportunities will present themselves in weeks and months rather than years. there are some rules of thumb: if you want to start a company one day, joining a startup of 10-20 people and seeing what does and doesn’t work will help you understand what it takes to be a ceo and get a company off the ground. if you are thinking of graduate school in computer science or engineering, a big company will often give you the best technical problems to work on. but if there is one rule of thumb that i emphasize to students, it’s to focus less on company size or stage, or even the product or service, and instead to think more about the people you’ll work with and what you can learn from them. are they really mentors? how much time will they spend with you? does the company offer opportunities for growth and for impact and responsibility? these questions are not easy to answer in advance, but they are critical. summer should be about so much more than checking a resume box. it’s a chance to improve your skills, discover what you really enjoy doing and how you want to do it, and introduce you to the people who will help you get there. 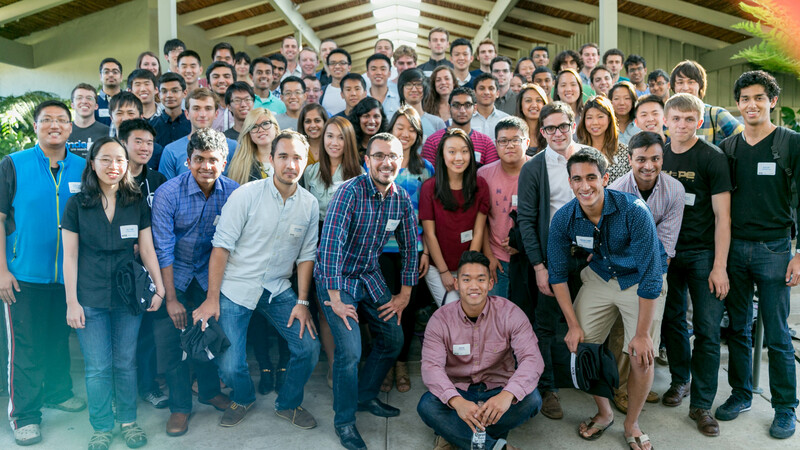 to that end, i want to encourage all aspiring engineers to consider the kpcb engineering fellows program. it’s the kind of program i wished existed when i was coming out of school. it not only gives students a great experience at one of our portfolio companies but enables them to get cross-company experiences and puts them at the center of the vast kpcb network. i’ve told every team that i’ve ever led that the strength of the valley is not any particular company. rather it’s the people who make the valley what it is. at a time when this ecosystem is just buzzing with activity, the kpcb engineering fellows program connects you with the people and experiences that matter most. for a budding technologist just stepping out into the world, it’s a pathway to achieving your dreams. the link is here. i hope that you’ll apply. a year ago today, i began one of the most interesting stints of my career: i became part of the technology surge team brought in from the private sector to fix HealthCare.gov. my time in washington was an eye-opener because i saw firsthand the endemic problems that undermine the government’s IT efforts, and i also saw what we need to do to overcome those problems. 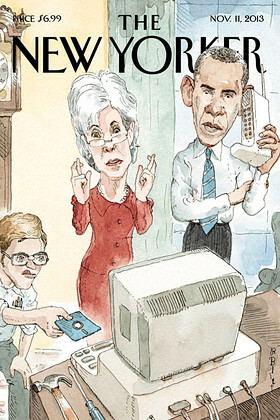 time magazine did a great job describing the problems and how we tried to solve them in an article called “Obama’s Trauma Team.” one big mistake the government made was a mistake the private sector never makes: the government opened the website to everyone at once. people in the tech industry know to launch to an expanding population of users over time. when you start small with your launch, you can see the system under strain, fix it, and then scale it. led in significant part by Mikey Dickerson, then a google site-reliability engineer, the team applied standard silicon valley rigor, behavior, and approaches to the salvaging effort. together with engineers from the contractors hired to build the site, we fixed HealthCare.gov by the administration’s deadline. the Obama administration is now applying what it learned from all of us to its other challenges. in august it announced the U.S. Digital Services Playbook. consisting of 13 “plays” — each with a series of checklists and key questions — the playbook helps government agencies apply the tech industry’s best practices for product development. the administration also launched the U.S. digital service, a small team of industry experts who will work with the agencies to improve how the government does IT. (the idea is similar to the UK’s Government Digital Service, which has transformed that country’s IT efforts.) Mikey Dickerson is now both administrator of the digital service team and deputy federal cio. In addition, the administration has launched 18F, an internal consultancy that Federal agencies can hire to develop and deliver state-of-the-art digital services, and a new Veterans Affairs Digital Service team to help improve services for our nation’s heroes. this is our industry’s chance to help federal IT become easier for people to use. citizens deserve technology services from the government that actually work. there are so many ways we can use the skills that we’ve honed in silicon valley to make a difference in our nation’s capital. i say that this kind of performance is unacceptable today. and yet the government continues to hire expensive contractors who have shown that they’re great at meeting complicated regulations but don’t have a clue about solving real-world problems. now, with the new U.S. Digital Service team, 18F, and the VA Digital Service, our industry has a real opportunity to help modernize government IT, make federal websites easier for citizens to use and more effective in solving their problems, and put everyone’s tax dollars to good use. It looks like things are beginning to change. earlier this month i hosted Todd Park, tech advisor to the White House based in the Valley, at the kleiner perkins offices in menlo park to introduce him to potential recruits for the government’s new digital service teams. we had a great turnout, but we still need more. i encourage you to reach out to Todd and Jennifer Anastasoff at Jennifer_anastasoff@omb.eop.gov to learn how you can help the government deliver a better digital experience to all Americans. maybe you’ll just want to cycle in for a year or two; maybe you can suggest someone for the team. either way, this is a chance to make a real difference in the life of our country. isn’t that why we got into technology in the first place?